Is there anyone creating geocentric resources for children? We are getting away with contradicting the books we read by saying that while many believe the earth revolves around the sun, the Bible and the Church Fathers teach us that the sun revolves around the earth. But it would be so much better to have solid resources to offer them. If not books, maybe PDFs? How do you cram over five hundred years of science and history into a small book of just over 200 pages and not only make it easy to read but as understandable as Reader’s Digest? Well, that feat has been accomplished by author Robert Sungenis in an easy-to-carry paperback book on a 6 x 9 frame. Whereas his massive three volume set, Galileo Was Wrong: The Church Was Right, now in its ninth edition, is over 2400 pages long, the best and boldest of that famous set has been distilled down for you into less than one tenth the size. 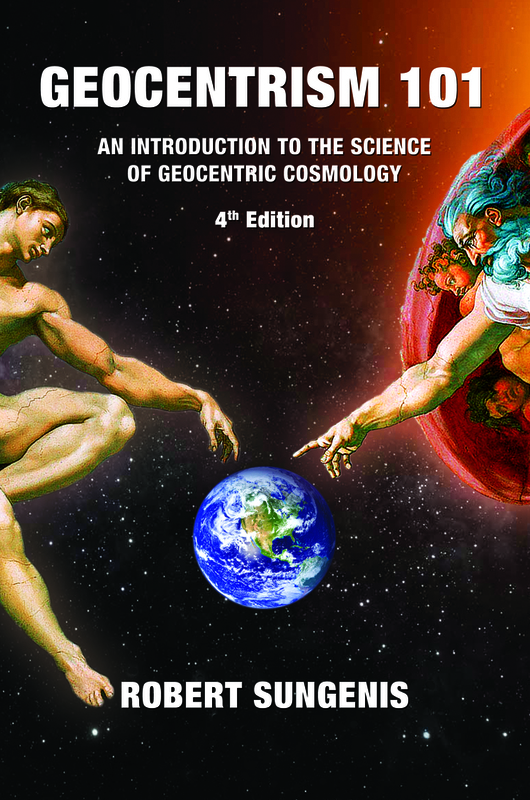 The title is, Geocentrism 101: An Introduction into the Science of Geocentric Cosmology, and is hot off the presses from CAI Publishing, Inc., as of in November 2013. We call it Geo 101, for short. Although the cover says that the book is “Recommended for High School, College and Adult,” in actuality it is for anyone who has had a hunger to know what all the fuss is about concerning modern heliocentric versus geocentric cosmology. And believe me, it is a real page-turner! If you were ever reticent to read a book because there were too many words per page, or because it had a tiny eye-straining font and very few pictures and diagrams, well, never fear, Geo 101 is here! For its simplicity alone Geo 101 will become the “go-to” book for many years to come. Whereas the average paperback novel has over 500 words per page, Geo 101 has an average of 200, and all of that is in a big 12-point font so that even your far-sighted grandfather or even the partially blind can read it! As for pictures, believe it or not, there are 450 of them, which amounts to an average of two per page. Many of the pictures are photocopies of the pages of the books from which various quotes of famous scientists have been extracted, so that you, the reader, can see for yourself what the author actually said and the context in which he said it. Nobody will accuse you of taking things out-of-context! As regards equations, there are only six, and only three are needed to be explained, which we do for you in simple language. If you can add 2 + 2 and get 4, you can understand our explanation of these equations. Best of all, much of the mystery of cosmology is eliminated since the book comes with a CD-ROM that contains 66 detailed animations depicting everything from the geocentric design of Stonehenge to stellar parallax to the astounding alignments of the cosmic microwave radiation with our Earth. These animations are a product of five years of hard labor. There are simply no better cosmological animations available in the world today. Additionally, the CD contains one of the most sophisticated stellariums available. This will allow you to see the starry cosmos, complete with constellations and planetary movements, from an Earth-based viewpoint. The CD also contains a PDF version of the book, which has the full-color images of the 450 pictures in Geocentrism 101. The book also contains photocopies of the actual hand-written letters from famous scientists such as Albert Michelson, Hendrik Lorentz, and George Fitzgerald, which we obtained after many hours of search in the microfiche files at the Niels Bohr Library in College Park, Maryland. We also have a rare photograph of Georges Sagnac that we obtained from the Bibliothèque Ulm Lettres et Sciences in France. This is a significant find since there are no pictures of Sagnac on the Internet. In case you are interested, Georges Sagnac did the famous 1913 experiment that was understood to have demonstrated the existence of ether and thus became a disproof of the theory of Special Relativity. (No wonder Einstein never mentions Sagnac’s experiment in any of his papers! You will find out why in our book). Now, you might think that a book and CD like this would cost about thirty dollars or more. But we have tried to make it as affordable as possible. For only $19.95, the cost of an outing for two at McDonalds, you can be the owner of one of the most concise and sophisticated treatments of geocentric cosmology available today. This book is an excellent resource for that personal someone you’ve been trying to educate to geocentric cosmology but who would never pick up a huge book to read. It is an excellent resource for all homeschooling families. It is an excellent resource for all high school and college curriculums who want their students to at least know what the alternative positions are in modern cosmology and astronomy, and they will especially want to learn that the Big Bang theory is just about to collapse. Of course, many who read Geo 101 will want to advance to the bigger volumes in the GWW series, but that is only for those who want the nitty-gritty details and won’t be satisfied with anything less. Almost forgot. Be sure to tell your family, friends (and even your foes) that our company, Stellar Motion Pictures, LLC in Los Angeles, will be releasing the first-of-its-kind feature film in early 2014 in various theaters across the country. As you will see in the movie, the downfall of the Copernican Principle is upon us and it is just a matter of time before the whole sandcastle comes tumbling down. Controversial? You bet, but that is precisely what this world needs right now – a major shakeup of its ideological moorings. See you at the theaters. In the meantime, pick up a copy of Geocentrism 101! 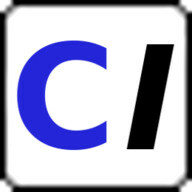 The staff at CAI Publishing, Inc.
the last thing people need to be doing is teaching the geocentrist lie to their children. Might as well put poison in their food. Thank you klasG4e! I am looking for elementary age resources but I will order that and hope it helps. I notice that you seem to just love to add this one liner just about every time the topic of geocentrism comes up. If it's not too much to ask please fully substantiate your claim for us since you appear so persistent in making it. Now you see the problem homeschoolmom. As long as there are intellectually proud Earthmovers out there ready to BULLY even kids learning a truth and calling it a poison, one of the most wonderful creations by God will remain a no-go area, even if they are Christians. Show your kids the sun in the morning, six hours later and as it disappears over the horizon at night. Tell them this of course is the sun moving around the Earth every day. Show them a constellation of stars when it gets dark, Go back out four hours later and they will see the stars have moved a bit around the sky. Tell them this of course is the stars rotating around the Earth. Teach them that God wrote lovely things about the course of the sun in His Bible, and that all the saints of the Church would read about the sun and stars as they spun around an Earth fixed at the center of the whole universe. Tell them that God made as many stars as there are grains of sand on the Earth. The next time you are on a beach, take a handful of sand and let them see the numbers of grains and they will see how many stars God created to show us that nothing is impossible for Him. Tell them God can make them all turn around the Earth every day and that St Thomas Aquinas, a great Saint who understood God very much, said each star could have an angel guiding their course as they spun around the Earth. That is what God can do. Tell them that God made the sun and all those stars to go around the earth to show us He exists and works every day for us. Tell them God, in His Bible said: ‘The heaven is my throne, and the Earth a footstool for my feet. What house will you build me says the Lord, or what shall be the place of my resting?’ (Acts 7:49) Tell them that a footstool does not rotate or fly around a room, they remain at rest. At an early age, before their peers or the bullys start calling them fools and idiots, this visible motion will sink in. Finally tell them it is called geocentrism. In time the Earthmovers will get to them, in the classrooms, in talks, on TV, science and Catholic websites and forums and in books by astronomers, philosophers, priests and their 'educated' peers. They will laugh at them for believing in what the Bible says, what they see with their own eyes. When told they are wrong that it is the Earth that goes around the Sun, tell them to say that Albert Einstein said it has never been proven that the Earth goes around the sun, and that a physical geocentrism is as scientific as it is that the sun gives off heat. When adults they can study the history of this great battle between those who upheld the geocentrism they witness every day, and those who did not want 'God to be known through the things that He made,' the first dogma of the Catholic Church. At an early age, before their peers or the bullies start calling them fools and idiots, this visible motion will sink in. Finally tell them it is called geocentrism. It seems to me that something homeschoolers could benefit from, is a nice long list of the kinds of taunts and accusations that geocentrists will inevitably get attacked with, along with a sampling of the come-backs that can be kept ready for a quick reply. Bullies rely on their victims being unprepared for their attacks, so when you have a ready reply on hand it throws them off guard. And this is not only to get ready for a bully's attacks. Some challenges will come from fellow students who think they understand better and want to have a peaceful conversation during which they can convince the geocentrist of his "error." Children should be well-practiced in how to have such conversations and not to get all emotional, nor let their passions obscure their clear thinking. You can have set-up sessions where two or more students take the role of heliocentrist and geocentrist, or evolutionist vs. creationist. This way, they get real-time rehearsal on how to handle these situations. Role playing is a very popular activity for some children, and not so much for others, but all-in-all, everyone can benefit from it. When Joseph P. Kennedy had a young family, the boy, John Fitzgerald, would sit at the dinner table with his family and take part in the debate format their father arranged, which they held while the family ate their supper. When you're eating, it's not a good idea to be too emotionally worked up, because it can cause you to choke! So the food aspect was a damper on unbridled emotions. They would cover topics of current events, or national politics, economic, world history, local politics, even disputes or controversy among neighbors, real or contrived. So it shouldn't be too surprising that years later, JFK was able to project such a confident and well-poised presence in his presidential debate with Richard M. Nixon. the [sic] last thing people need to be doing is teaching the geocentrist lie to their children. This, from an advocate of the poisonous lie of flat-earthism! Hypocrite. You're asking too much from a member who is only capable of drive-by acts of cowardice. Nor is he capable of sound thinking; a hopeless case. Like getting blood out of a turnip. What you're asking for is simply not in him. Might as well talk to a jellyfish -- they do drive-by attacks all the time. Is there anyone creating geocentric resources for children? After having read your post I suggested directly to Robert Sungenis that he consider doing this. He informed me today that he is working on this right now! I have no idea how soon it will be available to the public though.